What if we told you there's a hidden gem in your drugstore that costs less than your daily Starbucks latte and can help combat a number of beauty and health issues? It may sound too good to be true, but the overlooked miracle worker does exist. It's Epsom salt. 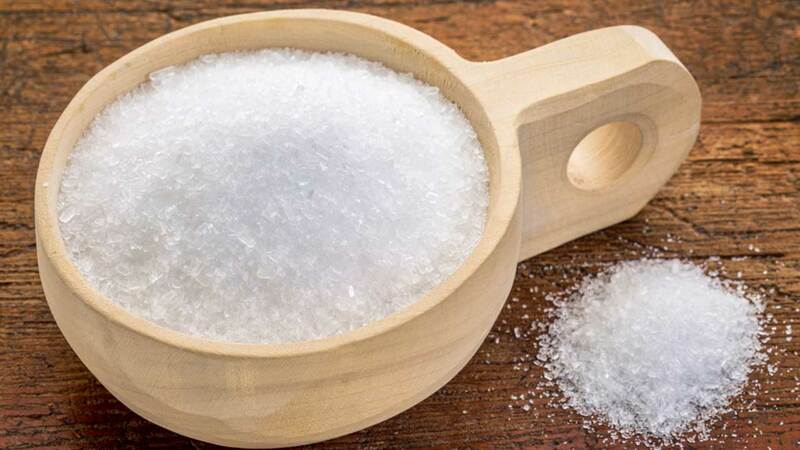 Women's Health magazine talked to beauty experts around the country and there are a ton of other ways to use Epsom salts beyond the standard sore-muscle bath soak. Beauty experts say Epsom salt isn't made up of plastic like other items on the market. It provides gentle abrasion and then dissolves into your tub or shower. If you mix Epsom salt with conditioner and put it in your hair, it will remove gunk and add body to your stands. Drop it in your bath to reduce bloating. The salt also helps pull toxins and water out of your system. According to one study, the magnesium in Epsom salt can help lower cortisol, which is known as the stress hormone.